More limited quantity Pink Diamond LOVE locker codes have been revealed by @NBA2K! The code for Sapphire Paul George is still working. 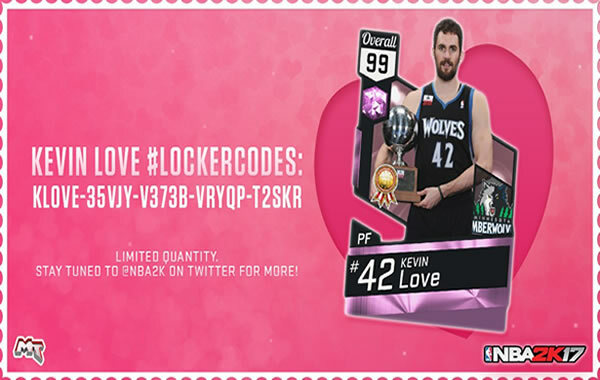 As we said in the previous article, the first limited quantity locker code of Pink Diamond LOVE has been revealed by NBA 2K to celebrate the Valentine's Day. However, many fans compains that the Diamond LOVE is too hard to get. According to players, the codes 2K released in their Twitter account were already unavailable in less than a minute when they saw the Tweet. To deal with this problem, the game developers have to release more limited quantity Pink Diamond LOVE locker codes for MyTEAM. The code is "KLOVE-35VJY-V373B-VRYQP-T2SKR". 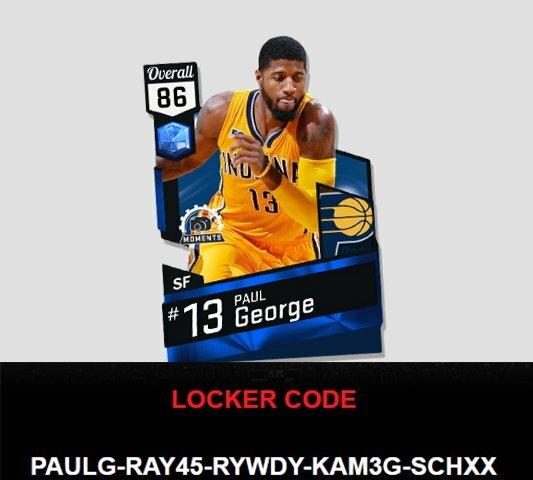 Luckily, players can still get Sapphire Paul George by taking advantage of the code "PAULG-RAY45-RYWDY-KAM3G-SCHXX". In addition, the code for Paul George is available for PS4, Xbox One, and PC before February 28. In oder to get Diamond Kevin Love or other players you like, stay tuned to the official NBA 2K17 twitter or keep your eyes on www.u4nba.com. We often offers the latest update for NBA 2K17 news and guides.